This article is about alcoholic liquids. For the colors used in a coat of arms, see tincture (heraldry). A tincture is typically an extract of plant or animal material dissolved in ethyl alcohol (ethanol). Solvent concentrations of 25–60% are common, but may run as high as 90%. In chemistry, a tincture is a solution that has ethanol as its solvent. In herbal medicine, alcoholic tinctures are made with various ethanol concentrations, 20% being the most common. Other solvents for producing tinctures include vinegar, glycerol (also called glycerine), diethyl ether and propylene glycol, not all of which can be used for internal consumption. Ethanol has the advantage of being an excellent solvent for both acidic and basic (alkaline) constituents. A tincture using glycerine is called a glycerite. Glycerine is generally a poorer solvent than ethanol. Vinegar, being acidic, is a better solvent for obtaining alkaloids but a poorer solvent for acidic components. For individuals who choose not to ingest alcohol, non-alcoholic extracts offer an alternative for preparations meant to be taken internally. Low volatility substances such as iodine and mercurochrome can also be turned into tinctures. Tinctures are often made of a combination of ethyl alcohol and water as solvents, each dissolving constituents the other is unable to, or weaker at. Varying their proportions can also produce different levels of constituents in the final extraction. As an antimicrobial, alcohol also acts as a preservative. A downside of using alcohol as a solvent is that ethanol has a tendency to denature some organic compounds, reducing or destroying their effectiveness. This tendency can also have undesirable effects when extracting botanical constituents, such as polysaccharides. Certain other constituents, common among them proteins, can become irreversibly denatured, or "pickled" by the alcohol. Alcohol can also have damaging effects on some aromatic compounds. Ether and propylene glycol based tinctures are not suitable for internal consumption, although they are used in preparations for external use, such as personal care creams and ointments. Similarly "spirit(s) of salt" actually meant hydrochloric acid. The concentrated, fuming, 35% acid is still sold under this name in the UK, for use as a drain-cleaning fluid. 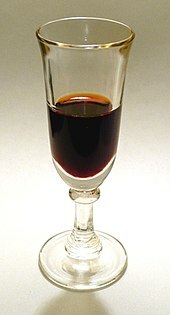 Nalewka, traditional Polish category of alcoholic tincture. Infusion, water or oil based extract with similar historical uses to a tincture. Elixir, pharmaceutical preparation containing an active ingredient that is dissolved in a solution containing some percentage of ethyl alcohol. Spagyric, fermentation, distillation, and extraction of mineral components from the ash residue of calcinated plants. ^ The Pharmacopoeia of the United States, 1850 ed.